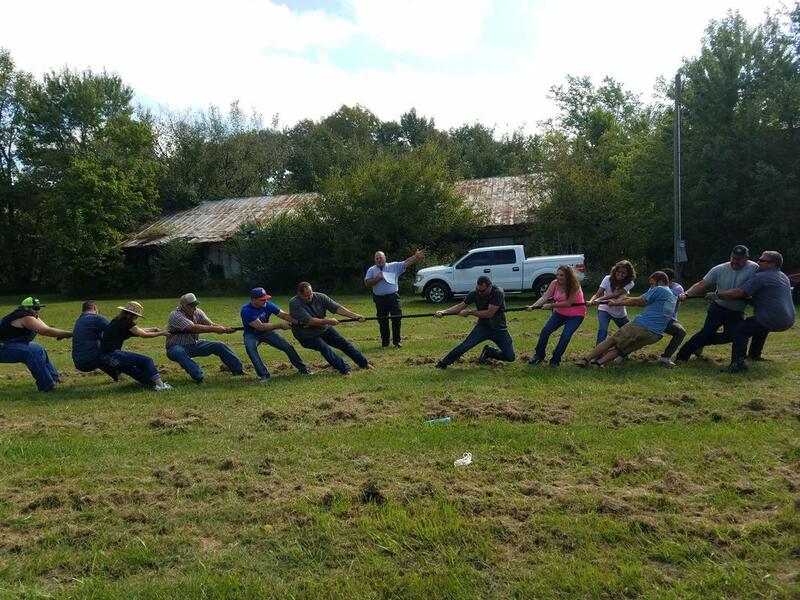 At the first annual Washburn Heritage Festival, hosted by the Washburn Chamber of Commerce, there was an old fashioned tug of war. Spectators said the game became serious after it was announced the winning team would receive a free raffle ticket for choice of rifle. The drawing of two winning tickets, held by the Washburn Area Chamber of Commerce, will be conducted after the Washburn Christmas Parade held on December 1.